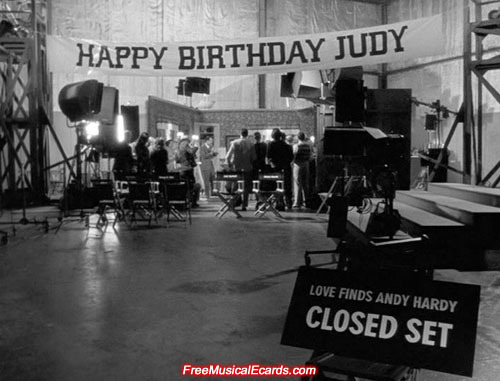 MGM arrange a 16th birthday party for Judy Garland on the set of Love Finds Andy Hardy on 10th June, 1938. 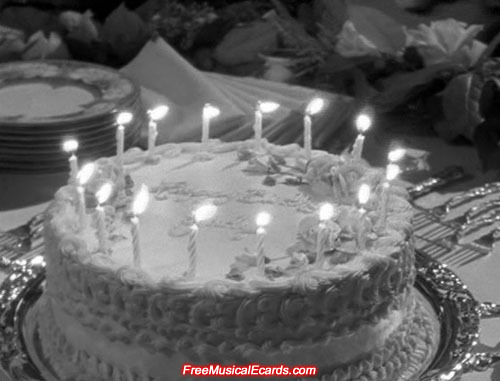 Judy Garland's sweet sixteen birthday cake. 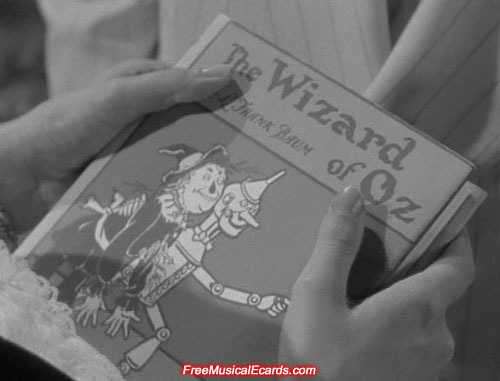 MGM boss Louis B. Mayer gives Judy Garland a book on her birthday as a way of telling her that she will be playing Dorothy in their most expensive musical film, The Wizard of Oz. 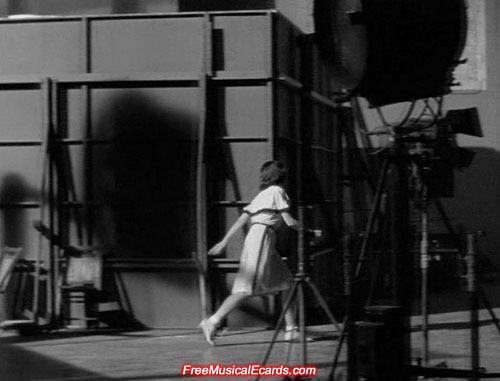 Judy Garland is furious and storms off The Wizard of Oz set after learning that MGM sent their musical director in Roger Edens to listen to Shirley Temple sing at 20th Century Fox, casting doubt on whether Judy Garland will actually play Dorothy. 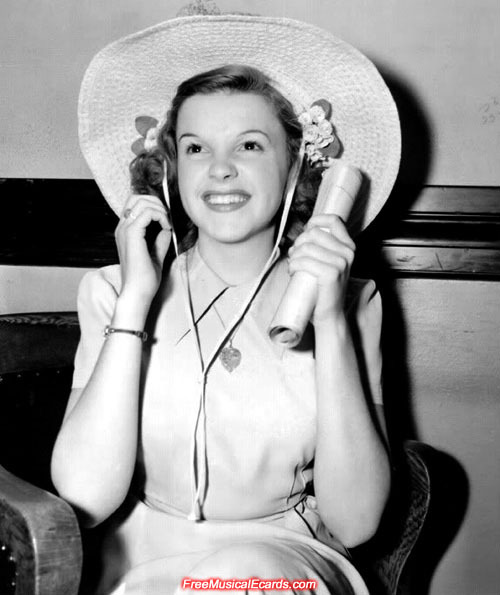 Judy Garland is happy that her role as Dorothy is locked in, after 20th Century Fox refused to lend their rival film star in Shirley Temple to MGM. 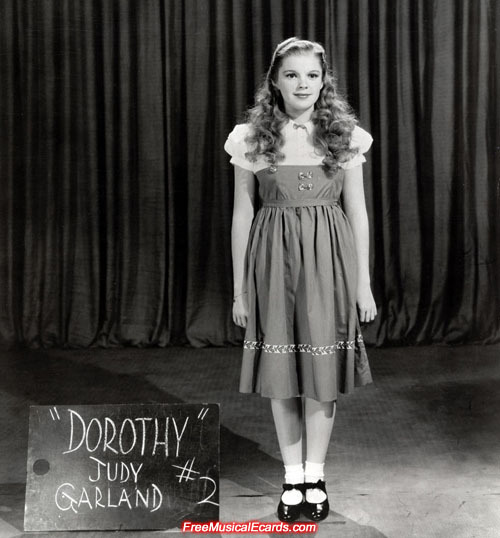 Costume and other kinds of tests for Judy Garland commenced in August, 1938; recording sessions commenced in September; and filming commenced in October. 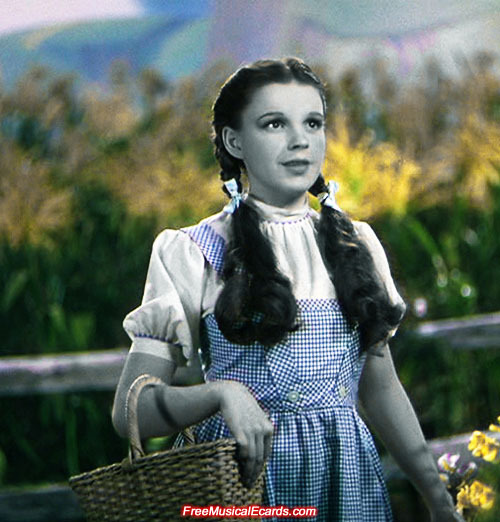 Judy Garland booked herself a place in Hollywood folklore after her breakout role as Dorothy in The Wizard of Oz.